In the March 2017 issue of Wine Enthusiast, Hudson-Chatham Winery received some stellar reviews for their wines, Their Baco Noir Middlehope obtains a score of 91 points! That makes Hudson-Chatham Middlehope the highest rated Baco Noir in North America! Although the Hudson-Chatham Baco Noir Old Vines and Baco Noir Casccles Vineyards would also have qualified with their 88s!!! Hudson-Chatham's Pinot Noir received an excellent score - 90 Points! This makes Hudson-Chatham's Pinot among the highest rated in New York state! A great showing for the Hudson Valley winery! Hudson Valley Distillers started out small, but each month they seem to be expanding more and more. I fully expect the burgeoning distillery to control the bottom half of Columbia County before year's end! Their line of whiskies, their gin and their vodka, have all been stellar and well recieved. Recently, they released a new little ditty! Adirondack Applejack Cinnamon!!! Hudson Valley makes an exceptional, bourbon like Applejack, like a big, baked apple covered in caramel!!! Now, with this new one, it's almost like eating a big baked apple pie with a load of cinnamon. What I really like bout this new elixir is that while the Fireball whiskies of the world are super-heating their whiskies with cinnamon flavor, sometimes to the point of turning it into Lavoris (the long vanished mouthwash), this whisky has a oft apple flavor that is complimented by the cinnamon, not overpowered by it. It's made by a couple of couples, Tom and Chris, the partners, and their wives Jen and Jennifer (who are fantastic), has show mature, adult restraint, in adding jut enough so you notice it, but not so much that you can't cleanse your mouth of it. Harvest Spirits in Valatie, NY is among my favorite craft distillers in the Hudson Valley and Derek Grout and Peter Upstill are some of my favorite people in distilling. Harvest Spirits has been one of the most vocal and proficient voices and exceptional distillers of Applejack and helping to bring it back as a popular whisky in America. Here's a righteous article published in the November 2016 issue of Popular Mechanics about the distillery and about the comeback Applejack has made in the last 5-10 years! Great job and congratulations! I first tasted Sons of Liberty at a massive whiskey tasting show in Manhattan before I ever knew anything about them. I didn’t know where they were from or who they were. And out of more than 100 whiskies that day, their products stood out! Done! Now, having lived in New England, I loved that they were located in South Kingstown, near Charlestown and Exeter and Narragansett. So that cemented it for me. I have been going to those towns since I was a kid. I’ve been writing about wines, beers, and spirits from the region for more than a decade. So the rest was easy. Sons of Liberty, of course, we a secret society of citizens in the American Colonies, that organized in an attempt to protect the rights of colonists and to oppose unfair taxation. There’s was the famed motto, “No taxation without representation.” Enter Mike Reppucci who thought it would be a good idea to try to make world class whiskey in New England. He founded Sons of Liberty Distilling. That’s when Mike turned to the famed master distiller Dave Pickerell to begin experimenting with recipes using different beers. They finally settled on a stout, which featured 100% barley malts such as Chocolate Malt, Crystal 45, and Biscuit malts among others. They double distilled the beer after it was finished. The aged the distillate in a combination of new, charred American oak and toasted French oak barrels, to give it added complexity. Nose: Cocoa and coffee come through, along with apples and figs, vanilla and caramel. Palate: Apple, cocoa, vanilla, caramel and honey all come through. A hint of spice comes through at the end. The finish though is surprisingly vanilla and cream and finishes dry and clean. To me finishes lighter and drier than it smells. Maybe because the roasts suggest it, I was expecting a bit more brown sugar? But that it being picky. This is a wonderful whiskey. Well executed. Beautifully done. Like me, when I first tasted it, it will open your eyes! Strike another blow for the Sons of Liberty and for Rhode Island! Battle Cry is another exceptional single malt whiskey, but that's a review for another time! 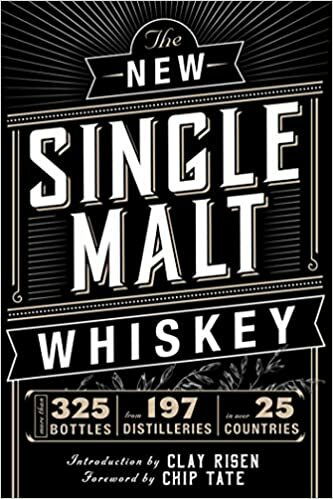 For more single malt whiskey, click below! ...and Hudson Valley wine authority and author Stephen Casscles. Nashoba started distilling in 2003. They laid down their first two casks of whiskey in 2004. They laid down 5 in 2005. And they’ve been laying down 20 barrels a year since 2006. They released their Stimulus Single Malt Whiskey for the first time on November 14, 2009. The first two batches produced 600 bottles. They use barley, and the batch sizes have fluctuated, as is normally the case with small micro-batch distilleries. The thing you have to love about Stimulus is that it is absolutely a product of place, like few others in the nation. Their malt whisky is produced, aged, and bottled at their distillery in Bolton, Massachusetts. They make the wash for distilling. They distill it right there behind the tasting room bar. It is aged in new whiskey barrels as well as in their own, previously used wine barrels, for cask finishing. Then, they have several of their whiskey barrels cut up, and the small chucks are used as the stopper in the bottle! That’s intense! There is a funny story about the origins of the packaging. The whiskey was originally named for the stimulus packages that were given out in the early 2000s, which was partly how the still was funded. As a tongue-in-cheek homage, the distillery first submitted the name to a partisan, conservative governmental board, which rejected it, saying that “Stimulus” sounded more like a drug than a whiskey. Disheartened, Pelletier and his team regrouped and came up with a whole new name and package for approval. But just before presenting it for the second time, he realized that there were new names on the approval board who had never seen or heard about the old package. They submitted the old package again, and this time it came through with flying colors, proving that all politics is local…and timely. Nose: Lots of fruit up front. Apple. Pear. Red fruits. Slightly floral. Spices. Toast. Vanilla. Taste: Medium bodied. Apple, pear, and light red fruits all come through. Hints of honey, apricot, and spice all come through with lovely mouthfeel. Finish: Smooth, easy finish. Lingers nicely, lightly. Fine. A wonderful whiskey you need to try! Sharpe Hill Vineyard is an award winning winery in Connecticut's Quiet Corner! Sharpe Hill Vineyard wines have been awarded more than 250 medals in International tastings. 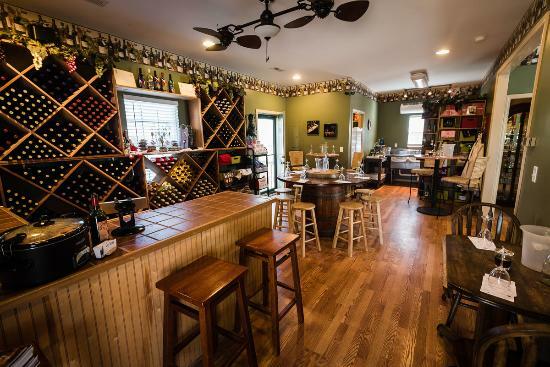 Founded by Steven and Catherine Vollweiler, the winery is located in the town of Pomfret - just minutes from scenic Route 169 and from the Putnam Antiques District. The winemaker Howard Bursen, part of the old Finger Lake wine mafia (you should see him play banjo alongside Peter Bell of Fox Run and Dave Whiting of Red Newt!) is the incredibly talented winemaker there. I have written about him often. He makes some incredible wines quietly there in Connecticut. St. Croix is a relatively new wine grape. 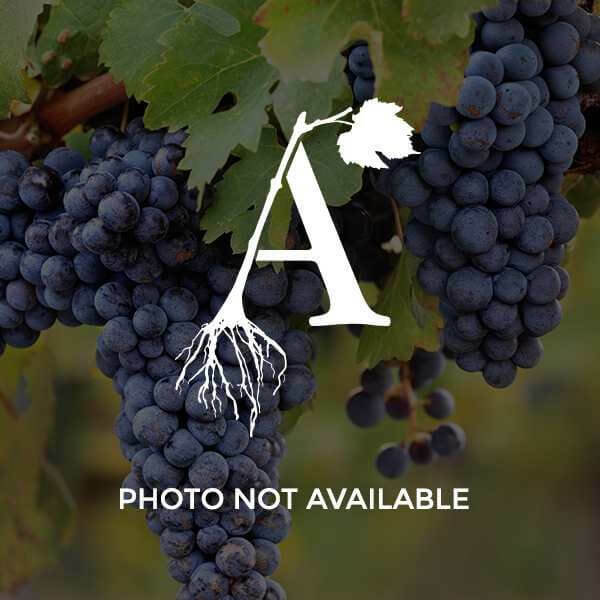 This hybrid grape cultivar was produced in 1983 by Elmer Swenson, a pioneering grape breeder who introduced a number of new cultivars that are hardy in the Upper Midwest. It was introduced by the University of Minnesota. St. Croix vines are vigorous and produce medium sized, somewhat loose clusters of grapes. It has moderate to good disease resistance, and is hardy to -28°F or better. St. Croix grapes produce medium to full bodied, dry, deep red wines with low tannins, good fruity aromas, and have currant and other dried fruit flavor aspects. Production often employs oak barrel ageing to add even more complexity to the wine’s bouquet and flavors.St. Croix produces wines that have been compared to a light to medium burgundy. Sugar content and tannins are low at maturity, but St. Croix has been used both as a varietal and for blending. But I will be blunt, I have tasted few St. Croix wines I like....even a little bit. But that's where Howard Bursen come sin. I met him several times in the last few years at the Eastern Wineries Exposition. And there, he bade me try his versions of St. Croix. And I have been won over by the grape being handed by this incredible vintner. Now, one thing to do with a red grape that winemakers sometimes do, is they make a rose out of it. But few people I've met have done so with St.Croix, as they have fallen in love with it's deep color, and their desire to make a big, dark California style wine with any new grape they find. Howard took a different tact. In the summer of 2006 Sharpe Hill released their Dry Summer Rose. The Sharpe Hill Dry Summer Rose 2014 was made from St. Coix grapes and a touch of blended white wine. The wine was a lovely pink/salmon wine, with a big nose of classic strawberry and bright cherry, and a hint of citrus. It was dry and bright and refreshing. An amazing, fun, lovely dry summer rose! This was the best St. Croix I had at the time, and Howard blanched. He had something else to try! Howard pulled from his bag of tricks a wonderful, full bodied, estate grown St. Croix which was a 100% estate wine. The color was impressive, and I clenched my teeth ready for an acidic affront to red wine, with cloying flavors. Wrong!!!!! This was a lovely, dark Rhone-ish red, with dark cherry, dark cassis, and hints of raspberry and plum, vanilla and a dash of white pepper. I tasted the wine with Michael Kaiser of Wine America and Danny Klein, Regional Vice President, American Wine Society at the blogger's table at the Eastern Wineries Exposition. Both were equally impressed with the rose'. Shapre Hill has been a quality producer in Connecticut and on the east coast, and Howard continues to improve upon past successes. A winning combination! Get up to Sharpe Hill and try these wines. These wines were easily the best versions of St. Croix I have had on the east coast so far! So I went with good friend Lenn Thompson from The Cork Report on a quick tour of the North Fork. In between wineries, we decided to hit Moustache Brewing, which I'd read about but mever experienced. Matt and Lauri Spitz are the co-owners of Moustache Brewing in Riverhead, NY, on the North Fork. It is a 7 BBL microbrewery the supplies Long Island and New York City area with fresh, local and handcrafted beers. Let's just say from the begining I loved this little brewery!!!! I tasted about seven different beers, and I loved all of them. Hard to do, because I rarely like everything in a single tasting. Especially with beer. But I was astonished at the dexterity Moustache has expressing different styles with flair and flavor!!!!! Moustache Brewing Winter Coat Winter Warmer 6% ABV was a winter warmer brewed with cinnamon, clove, ginger, and clementine peel. This was absolutely outstanding, and one of my favorite beers of the entire tasting. Enthusiastically took home a four pack of this without question. Amazing! Moustach Brewing Lawn Cream Ale 4.7% ABV was one of those beers at Moustache I was referring above. I generally loathe cream ales. 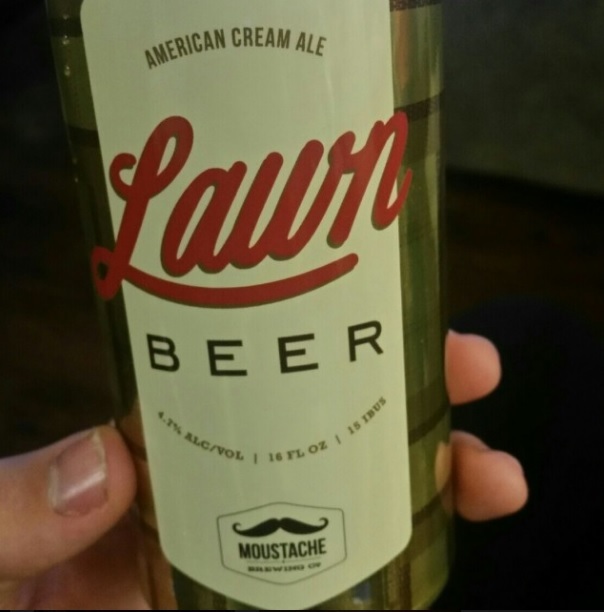 But Moustache creme ale had lots of great flavor and balance, and was refreshing. I liked it so much, I actually bought a four pack of this as well! Incredibly drinkable and not cloying, but bright and easy to drink. Moustache Brewing IPA Double Dry hopped with comet and amarillo was one I was afraid of. I like IPAs but I am over whelmed by the hoppiness in the current American craft brewing.So I gritted my teeth, an tilted back the tasting cup. I was pleasantly surprised. There was lots of grain and taste, as well as the hops. Incredibly taste-filled and hoppy beer. Excellent balance!!!! Milk & Honey a brown ale, and Wanderlust ESB were both also excellent!!!!!! There were only two things I was unhappy about during my visit to Moustache Brewing. First, was that we had to leave. And secondly, that it's o far away from where I live. Fantastic brewery. Absolutely terrific! City Scape Winery is located in Greenville, South Carolina. It is a wonderful little winery, picturesque and pretty, with a custom crush component, and a winemaking supplier to local home vintners. Josh and Deb Jones, purchased Cirty Scape Winery from the previous owners, Wayne and Anita Tamme, in late 2015. "It all started on a cold, rainy day in the fall of 2009. Stuck inside on the couch with nothing interesting to do, we started to be plagued with a condition that we loathe most in life called “boredom.” We decided to confront the issue head on and started to think of some creative things to do... After doing our research we decided that we were ready to take the plunge! We were delighted to find that there was a local winery and winemaking supply store near our home in Greenville, South Carolina. We pulled up to “City Scape Winery” and were greeted by owners Wayne and Anita Tamme who were sweet, charming and knowledgeable. Hours later, we walked out with the proper wine making supplies and our first wine making kit. Little did we know that this action would change our lives. Six years later our little hobby turned into more of a lifestyle. We have made dozens of wine varietals in many different styles and methods. In 2012 we made ten different types of wine for our wedding (125 bottles)." And they've been doing it ever since. I first tasted City Scape Pineapple Riesling at the Eastern Wineries Exposition 2016 with Michael Kaiser and Danny Klein at the blogger's station. Josh and Deb proudly brought their bottle by for tasting! City Scape Pineapple Riesling is a semi-dry Riesling that is fermented with fresh pineapple juice. Michael and Danny and several in attendance looked askance at this, but e all took a sip. Wow! It was a lovely, light Riesling with a touch of pineapple. One would have thought it would be this awful, candy-like experience, like Lifesavers with wine. But no, it was a delicious, light, highly acidic wine with a pretty nose of pineapple and apricot and peach, with a lovely, zesty finish. Actually, it was very, very well balanced, and a huge and pleasant surprise for us all! A great, honest wine that would be excellent with cheeses, salads, or for just sipping! Great job Josh and Deb!!!!!! Fantastic! p.s. Josh and Deb sorry I am so far behind Apologies!